What about the 6M/20M…difference? I don’t blame the city if they are not willing to go beyond that because I know they can’t,….I don’t expect anyone to agree on an increase to 20M…So, are we in trouble here? I fail to see where the “BOOM” is? To me (and Joyce it would seem) this is all coming to a head with the NHL presenting their final offer versus Glendale presenting their final terms. Their desires do not seem to match up by a longshot. The obvious conclusion is both sides will walk away claiming there was no willingness to deal from the other party. This is exactly how it happened in Atlanta. No owner forthcoming and no deals from the city. “Forced to relocate”. 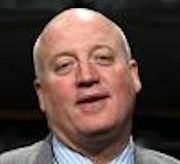 The NHL will blame Glendale for not offering a sweetheart lease (after they already got stung doing so for Jamison who turned out to be a waste of time) and the City can correctly point out that the League has not lowered their asking price, while sucking $50M from taxpayers who by all accounts can not afford it. Thank god we only have to wait a month to see who crumbles in this showdown. Everybody on both sides deserves that much, at least! His wordchoice and I would assume tonality of voice and body language if I watched it don’t seem to match what he’s conveying. It seems to me like he’s saying they are working to move the team between the lines. At least in my opinion that’s what I’m getting out of this transcript. Who knows though. Hope both sides work out a deal. If they REALLY were adamant on keeping the team in AZ they would look at a move back into Phoenix. Perhaps more oppurtunity for walk in traffic for the game.